As your philanthropic partner, the Cleveland Foundation can help you make your greatest charitable impact through funds that are flexible, innovative and personalized. We offer many creative and rewarding ways to donate to the community, some with significant tax advantages. We can even help you create a giving plan and share ideas for involving your family in philanthropy. 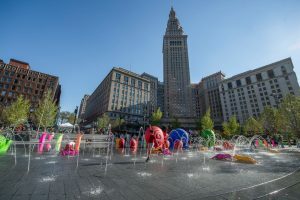 Through a partnership with the Cleveland Foundation, you will receive the flexibility, involvement, and recognition of a private foundation with the tax advantages and simplicity of a community foundation. We also offer a variety of planned gifts that allow you to give now or in the future through bequests, trusts and annuities. These instruments carry certain advantages based on your personal tax, financial and planning needs. We’ll also work in partnership with your professional advisors to help you meet your goals.